Mr. Patrick Ferrer will be our guest speaker. Patrick is the Sales Manager at Dadant and Sons in Chatham, VA (Tightsqueeze). He will show us the latest and greatest gadgets in beekeeping. A daylong queen rearing course will be offered in Fayetteville, NC on February 16th. The cost is $75.00 per participant and is enrollment is limited. You must be an active member of the NCSBA to participate. See https://www.ncbeekeepers.org/programs/born-and-bred for details. Dr. Geoffrey Leister will be our guest speaker. 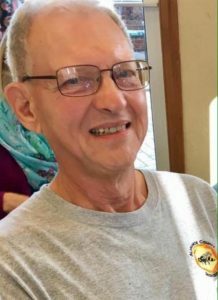 Dr. Leister is a NC Extension Master Gardener Volunteer and Alamance County beekeeper. His talk will focus on pollinator nectar and pollen sources found in the Piedmont of North Carolina. 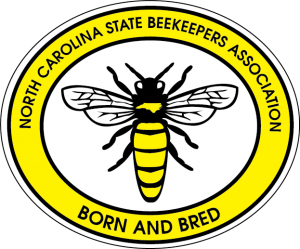 The 2019 Spring Meeting will be a joint venture between the North Carolina State Beekeepers Association and the South Carolina Beekeepers Association at the Union County Cooperative Extension Center located near Monroe, NC. The meeting will feature main stage presentations from Dr. Katie Lee from the University of Minnesota, Dr. David Tarpy from North Carolina State University and honey bee hygiene specialist Dr. Alison MacAfee from Canada. The meeting will feature presentations from the NCDA&CS inspectors, Klaus Beckman of Intertek, Germany, and special guest Phil Craft; additional stage topics will be included. A bee bowl championship will be held between the NC and SC beekeepers. There will be a full line up of vendors so plan to stock up on beekeeping supplies for the upcoming season. More information about speakers and programs will sent by email and posted on ncbeekeepers.org and social media sites. A daylong queen rearing course will be offered in Statesville, NC on March 16th. The cost is $75.00 per participant and is enrollment is limited. You must be an active member of the NCSBA to participate. See https://www.ncbeekeepers.org/programs/born-and-bred for details. See Bee School for more information on topic, schedule, field day, cost, and registration.